Debra Wolf is a freelance writer and health coach. In 2010 she co-founded Lean & Chic, which specializes in health and style makeovers. She received her training from the Institute for Integrative Nutrition and is pursuing her Master of Science in human nutrition at The University of Bridgeport. Many people try to better their health by taking supplements. Vitamin D supplementation is a common choice because deficiency is prevalent. In fact, some researchers suggest that half of the people in the world have low blood levels of vitamin D. Although it is typically safe, if you take a prescription medication that is known to have many drug interactions, such as blood thinners, talk to your doctor before taking vitamin D supplements. Vitamin D, sometimes called the sunshine vitamin, is a fat-soluble vitamin and hormone that is synthesized by the body from the ultraviolet rays of the sun. In addition, dietary sources of vitamin D exist, including fatty fish, cheese, eggs and fortified milk. Vitamin D is known for its role in promoting bone growth and development, but research indicates that it may also be effective in preventing cancer, heart disease, diabetes, the flu and the common cold. Due to reduced sun exposure, geography, skin tone, age and certain health conditions, many people are at risk of vitamin D deficiency. Supplementation is a common way to reverse this deficiency. For some people, blood thinners are a necessity. They are prescribed to prevent heart attacks, strokes and blood vessel clots. There are two main types of blood thinners -- anticoagulants, such as heparin and warfarin -- or Coumadin -- and anti-platelets, such as aspirin. Blood thinners are known to have many drug interactions, so read labels and packaging inserts when choosing supplements and other over-the-counter items. 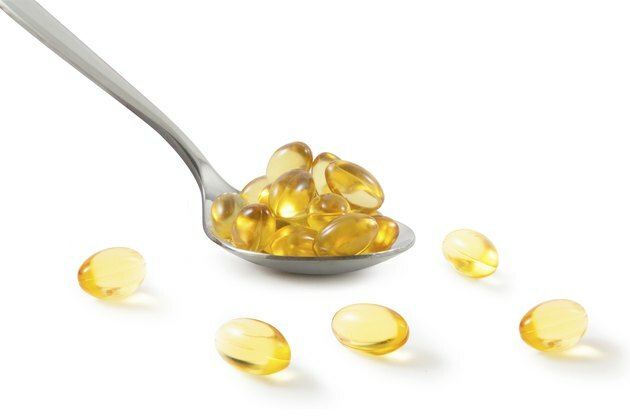 Both the National Institutes of Health Office of Dietary Supplements and the Agency for Healthcare Research and Quality do not list any negative interactions between vitamin D supplements and blood thinners. Beth Israel Deaconess Medical Center indicates that taking vitamin D supplements while on certain blood thinners, such as heparin, may prove beneficial. Heparin may interfere with bone growth and vitamin D use in the body, which could lead to bone loss and osteoporosis. Taking vitamin D and calcium supplements while you are on heparin may help prevent this. Talk to your doctor or pharmacist first before taking vitamin D supplements if you are also on blood thinners. It is common for drug interaction lists to change based on emerging research and patient experience. Your doctor and pharmacist will be up to date on current interactions and will be able to suggest a dosage that is right for you. Can Vitamin D Deficiency Cause Joint Pain?